Deviate Cycles is a UK based mountain bike brand producing gearbox bikes with an unrivalled suspension platform. @gabriel-mission9: We achieve zero kickback (ok, 0.25degrees from stationary to full travel) with the specific placement of the idler (optimised through complex optimisation routines). 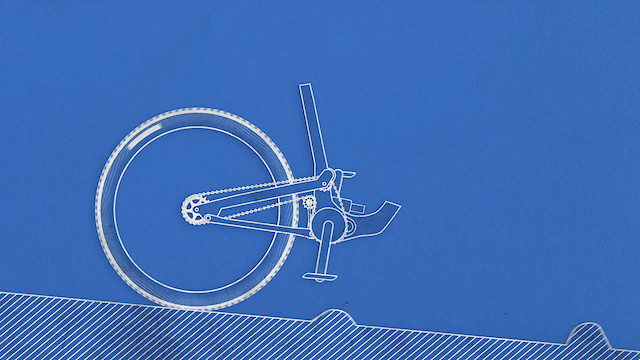 The kickback aspect of design is calculated through the relative movements of the rear sprocket, idler and chainring. With an idler we can move away from conventional design thinking, where there is always a substantial distance between the bottom bracket and the chain line. With the idler mounted to the swing arm, the amount of anti-squat across the travel range is calculated from the vector components of the chain forces around the idler. These force vectors can be balanced, or biased in our case, for a given idler location/sprocket sizes, and an idler can be located in a position to obtain zero kickback. Had all ours running without service for 7 months now... 4 of those months in the Alps clocking up nearly a million vertical feet and the rest in Scotland in the mud! All shocks have silly short service intervals on paper - our experience of the CC DBAir Inline has been great so far which is why we have spec'ed it! Some footage for you of the Deviate Guide (followed by Brian) in the Alps: https://youtu.be/sOneZZtSjKM https://youtu.be/X2kKuZF5CJY Gives you an idea of the terrain we were testing the bike on day in day out. We acknowledge the terrain in Exmoor is not ideal for this kind of bike - time/logistics and budget pushed us to film it there. Saying that - we were not trying to produce a shredit - just some footage of the bike been used in wet muddy conditions here in the UK that a fair amount of riders can relate too. We'd much rather riders who are interested demo a bike and see if it works for them. What works for pro riders (with free kit) doesn't necessarily translate into the bike that the average person wants/needs. Saying that - we'll do our best to get it into the hands of someone who can blow out a couple of berms for us! @WAKIdesigns, @aushred: there is a freehub in the gearbox so the chain does not keep running. 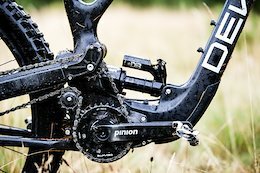 The shifting without turning the cranks is a feature of the gearbox - you can shift through all the gears when stationary - not a constantly running chain. It is possible with a idler, which is why we have one. "Pedal kickback (ie chain growth) is what gives anti squat." - Incorrect.